Hardware Jobs include vacancies at entry-level, middle, and senior level, and employers are open to meeting anyone with the experience and enthusiasm to work in the sector. Hardware Association Ireland is the national representative body for hardware / DIY retailers and builders' merchants, as well as manufacturers / distributors to the trade. The hardware industry in Ireland is dominated by indigenous Irish businesses. 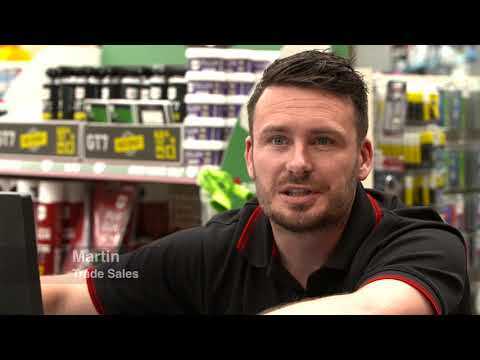 Hardware retail provides rewarding career opportunities including trade counter sales, retail management and product-specific specialist roles. Depending on the area, specific training or qualifications may be required. Typically entry-level employees will start out in the warehouse where they can shadow more experienced employees. My career in this industry has been shaped by three factors; a degree in business, always having active jobs and the fact that my family business is in construction supply and machinery hire. My family have been the biggest influence on my career to date! I am the fourth generation to work for our business. I was personally invited on board by my family! For roles in the business however we would advertise and go through an interview and selection process. We have also hired in the past on recommendations from colleagues, and also from people dropping in CVs. Our hire company also takes on apprentice mechanics from our local area. Up early! Open the business and get the shop set up. As we are very central and construction starts early we are busy from 7.30am onwards. The typical day involves ordering stock, dealing with customers, meeting with sales reps, drinking lots of tea, doing a lot of physical work, and learning about the industry! There are enquires all day long about products we have never heard of so there is a lot of research going on all the time, which keeps the brain active and the job very interesting! Stock ordering and control, shop supervision, dealing with suppliers and customers, sales and management meetings, targets and forecasting, staff leadership and motivation, price negotiation, and generally minding the business. The main challenges are staying competitive in a highly price sensitive industry and keeping abreast of changes within the industry. The product and method market is constantly changing and evolving, as are industry regulations and laws, which impacts on the range of stock provided to our customers. I really like the constant learning! As trade counter sales staff we are expected to be experts in all trades and we are constantly dealing with interesting enquires and problems. We also have great fun with our customers and there’s never a dull moment! I don’t like working Saturdays! However it is only a half day and only half the staff are needed on a Saturday, so we share it fairly amongst ourselves and as a general rule everyone only works 2 Saturdays a month. I also don’t like dealing with the occasional angry customer! I would like to think that I have developed good negotiation skills in the course of my time here. I am also willing to do any job and muck in in every aspect of the business, which has given me great insight into how the different departments, such as deliveries, warehousing, credit control etc blend together to work as a whole. I have had numerous jobs working with the public over the years and as a result have developed good customer service skills. Business and mathematics have been the most relevant subjects for my current role, but this industry is very much a learn as you do environment and I believe that the right attitude and a willingness to learn will take you far in this industry. Leaving cert, BA hons in business and politics, and numerous industry relevant courses over the years including credit control, stock control, sales performance and in depth product training modules to name but a few. The school of life training! Learning to deal correctly and fairly with all customers and treating people with dignity and respect. My business degree has helped also! We fully overhauled our business 4 years ago, which was badly needed after 10 long years of recession. This project was about 6 months and during this time our shop was completely redesigned and we increased our range of stock by nearly two thirds. This added greatly to an increase in sales and customers, and widened our customer base to include many local DIY enthusiasts. I would be most proud of myself and our team for this turn around. I would like to think that I have a deep understanding of all aspects of our company which gives me the ability to watch the business as a whole. A good rapport with people and genuine friendliness have helped immensely, builders merchants rely heavily on repeat business and customer loyalty, so you tend to see the same people all the time, so being able to strike up a friendship with customers has gone a long way to making a success of my job. My dream job is animal rescue and welfare! I hope someday to get more involved in this and I work towards my job facilitating this someday. Yes it does. It pays well and comes with company perks such as car and travel expenses and a phone. There are opportunities for all staff to progress both through this industry and through our business, once you have a handle on the industry there are worlds of opportunities! Also an added bonus is that builder’s providers close for Christmas! Unlike nearly all other retail stores. A sense of humour, a willingness to work and ability to work well under pressure! I am unnaturally wound up by people being late! but I have always been this way and hope to mellow with age! Learning will never stop in this job and every day is a school day! Which is one of the best things about our industry because it doesn’t leave you much time to get bored! Over the coming years I would like to delve more into the business aspects of our company, for example I would like to take an evening course in accountancy. Manager at Kellys Homevalue Builders Providers and DIY store.